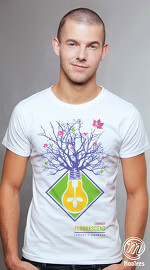 The industrial revolution and the Internet era would not have been possible without the mass production of electricity. 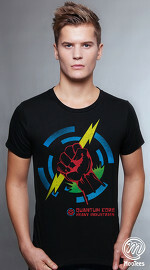 The graphic on this cool graphic T-shirt symbolizes that you are the change agent that will bring about yet another revolution. 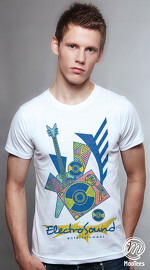 Grab this cool graphic T-shirt now! 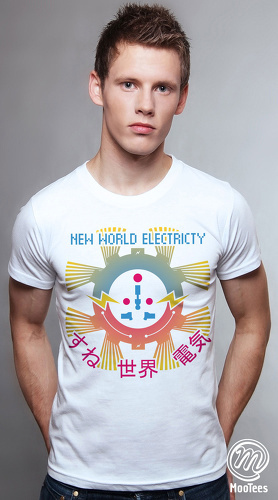 Graphic tee design : New world electricity. Graphic tee material : MooTees' proprietary Zaxtile cotton. Soft and comfortable. Stays in shape after use. Does not shrink after wash. Suitable for hot and cold weather.